Commercial quadcopters are continuing to break new ground, providing exceptional performance and increasing accessibility for the public. Let’s look at some of the best quadcopters out there on the market. Our list focuses on the top quadcopters in the market regardless of the price. This quadcopter is the Cadillac of the skies for drones currently in the market. 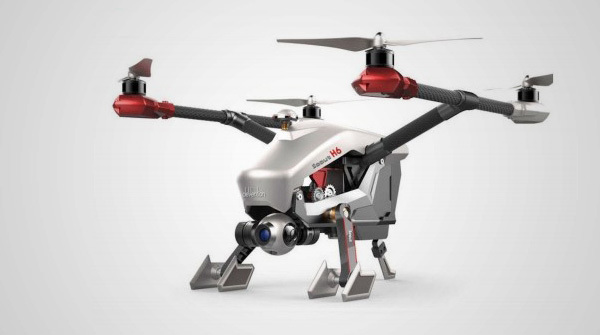 When its release was announced in late 2014 it was greeted with reviews like “my jaw literately about dropped!” This DJI model is complete ready-to-fly out the box, and is called an all-in-one ready to use platform. And will fly for 25 minutes on a full charge. It offers an integral 4K camera from DJI, as a result it is not compatible with GoPro cameras. As is pretty standard now, it has live HD FPV (first person view), and also comes with optional dual controller support. The Inspire 1, albeit its size is capable of automated flight indoors due to its indoor optical flow technology that provides accurate positioning without help from GPS. The quadcopter comes in an H-configuration and has strong carbon fiber arms that lift clean out of sight of the detachable gimbaled camera. As a result, the camera has an unrestricted 360° view of the world below and around. Along with the 4K video, the camera captures 12 megapixel photos. Real-time feeds from the camera can be displayed in 720p HD, on a mobile device. 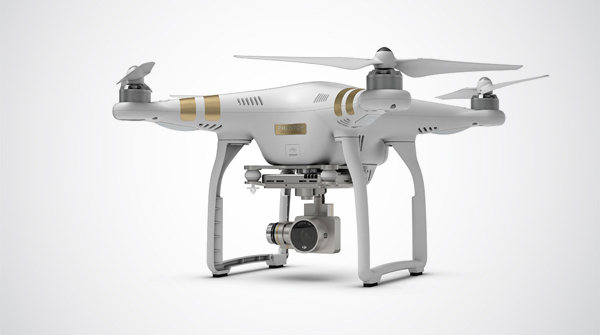 The DJI Inspire 1 measures 21 in x 12 in x 12 inches at 6.5 pounds. Check Current Price and User Reviews! 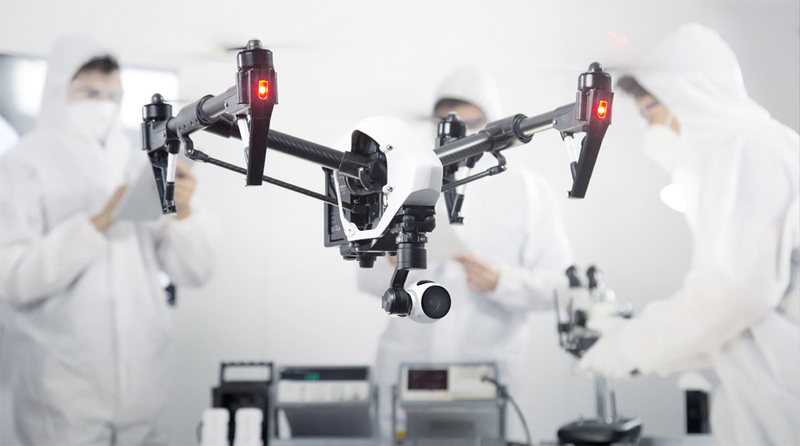 This quadcopter was a direct response to the DJI Inspire 1, and like the Inspire 1 features retractable legs which swing back, as well as carbon fiber H-chassis with a hinged center bar that in full flight mode swing up to make a “V”. However, this quadcopter has three legs with dual feet. The carbon fiber rods have aluminum mounts for the motors. The rotor, like the arms are made of carbon fiber. 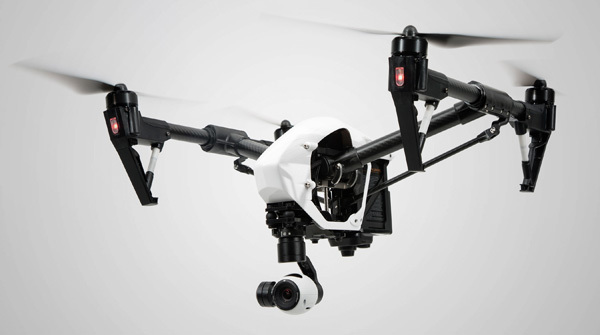 During full flight mode, the camera also drops lower like the Inspire 1, allowing for a clear field of view. Although the Inspire 1 has a sleeker body-profile, the larger Voyager 3 comes with large and visible external indicator lights on its back showing remaining power. Other large external visual indicators include GPS, barometer, compass setup and the usual colored navigation lights. Location of screws on top the plastic casing, allows ease of access without taking apart the entire aircraft. For the Voyager 3, Walkera has also provided its own 4k camera. The camera also sits on a detachable and unrestricted 360 gimbal. The voyager 3 comes with dual navigation system, GPS and GLONASS. And on a full charge provides between 20-25 minutes of flight time. If the Inspire 1 is the Cadillac of the skies when it comes to drones, then the Phantom series from DJI is the Ford Model T of the skies. The Phantom was really the first market quadcopter that set the tone on using an integrated monoque enclosed fuselage, and set the standard for commercial quadcopter configurations. The Phantom comes with DJI customized battery packs that can’t be replaced with generic packs. However, the battery packs are easily accessible and come with a built in status light for the charge remaining. 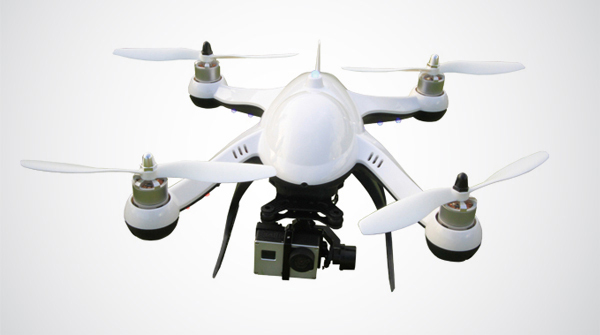 The quadcopter can fly 20-25 minutes on a single charge using the included 4480mAh lithium polymer (LiPo) battery. The Phantom 3 comes with a pre-installed brushless gimbal that is compatible with GoPro cameras, including GoPro Hero3, Hero3+ and Hero4 cameras. The phantom has both attitude and GPS flight modes, and measures 20 inches length, 10 inches in width and 14 inches high, with a weight of 9 pounds. With a 11.1V battery at 5200mAh, this quadcopter provides 25 minutes flying time at a range of 1.24 miles (2 KM). 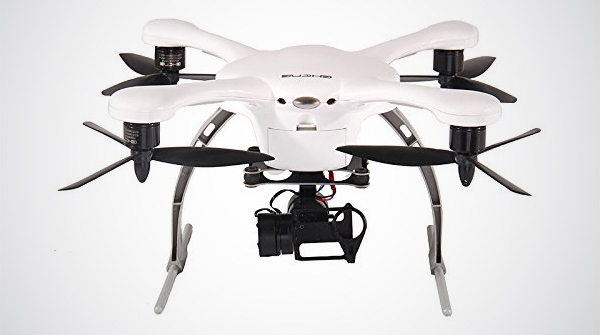 It comes with a brushless gimbaled camera holder that is suitable for iLook and GoPro cameras, that comes with anti-vibration 2-axis stabilization. Although the quadcopter comes with the factory provided battery, it has flexibility for generic packs of similar configuration and capacity. It comes with a position hold that is relatively accurate, as well as the return to home function. The rotors have a degree of flex to them, which is great for safety, but not so much for efficiency. The QR X350 Pro’s main rotor diameter is 556 mm (22 in) with a rotor blade length of 206 mm (8.1 in), 289mm (11.5 in) length, a 289mm (11.5 in) width, and a height of 200mm (8 in). It comes with FPV, as well as a compatible Wi-Fi option for smart phones. Is a remarkable quadcopter, which until the introduction of the Inspire 1 and the Voyager 3, probably stood at the top of the pack. With its APM controller, the Scout X4 is capable of waypoint mission planning, autonomous navigation and flight. It is also capable of follow me mode or follow recorded track back home. It offers real time telemetry monitoring with compatible tablets and devices. Its GPS flight control system can handle up to 128 waypoints, and can accurately hold position and fail-safe return home. Its gimbaled undercarriage comes configured for the iLook camera, but is interchangeable with GoPro cameras. It comes with the standard Walkera controller with built in video system for downlink from the camera. 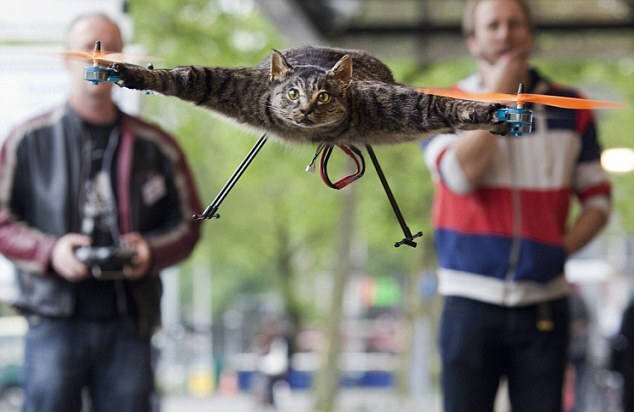 It has a retractable landing gear, so that body and rotors are well clear of the camera’s field of view. The quadcopter comes ready to fly out of the box, and can be expandable from 4 motors to 8 motors in order to increase the payload. The Scout X4 uses a 22.2V 5400mAh LiPO pack and has a maximum flying time of up to 25 minutes. The quadcopter measures 13.2 in (335mm) in length, 10.8 in (275mm) in height, and 13.2 in (335mm) in height. It weighs 1770g (3.9 lbs) without battery pack. And, has a flying weight: 2270g (5 lbs). After the remarkable success of the Parrot A.R., Parrot has come out with an even more remarkable quadcopter, the Bebop. The Parrot Bebop has eight times the power of its predecessor, and the new sensors it carries include a 3-axes accelerometer, gyroscope, magnetometer, one ultrasound sensor with an 8 meters reach, one pressure sensor and a vertical camera. Integral to the airframe is a forward facing 14 MP camera with fisheye lens. This setup is also truly remarkable, in that it gives the pilot complete 180 field of vision, which the pilot can access by panning left and right without actually yawing/rolling the quadcopter. The bebop camera system comes with 3-axes image stabilization, personal Wi-Fi with multiple inputs and outputs, anti-vibration bumpers, and 8 GB flash memory. 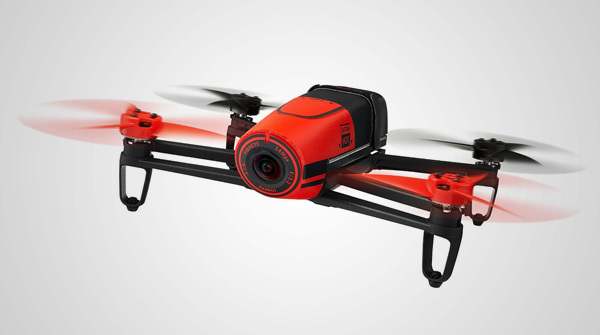 The Bebop also offers full HD video recording, GPS autonomous flight, and compatibility with FPV glasses. An accessory for the Parrot Bebop is the Sky Controller that clamps in tablets and phones, and gives real joystick-control to operate the quadcopter. This gives greater piloting precision. The quadcopter’s controllable distance can then be increased from 800 feet to 1.25 miles with the use of the Wi-Fi antenna. The Bebop allows for waypoint navigation with the pilot selecting the path on the tablet. Flight time for the quadcopter is 11 minutes per charge. The Parrot Bebop boasts not having any moving parts, except for the rotors. It is known as a remarkably stable platform that provides steady superior video quality. Video recording begins automatically when it takes-off. The Bebop’s maximum weight is 410 grams (14.5 ounces), and measures about 12 inches (28cm) square and 1.5 inches (3.6cm) in height. It has a GNSS chipset which provides multi-system navigation with GPS, Glonass, and Galileo built in. A vertical camera, ultrasound, and pressure sensors enable indoor flying where satellite linkage is absent. The Bebop can fly in winds up to about 30mph or 50kmh, and can reach speeds of around 45mph or 75kmh. Some of the pros of the Bebop are: easy to fly out of the box, stable video and light weight for easy transportation. The cons are it can get unstable in windy conditions, no protection of the camera lens especially in a hard landing, and Wi-Fi security issues. The IRIS+ comes out the box ready to fly, and included are flight battery, battery charger, ground station radio, and remote controller. The quadrotor can be controlled both manually using the remote control with remote telemetry, or automatically using the sophisticated 3D Robotics Pixhawk autopilot system for automatic mission planning and setting waypoints on a predetermined flight path on any Android device with the free DroidPlanner app. 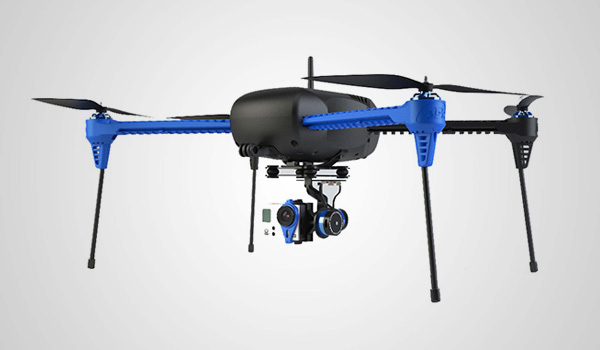 The IRIS+ platform comes with the 3PV Follow Me mode that enables hands-free piloting by linking the drone to any GPS enabled Android, Apple and PC device. And, the camera gimbal keeps the camera fixed on the subject below. The IRIS+ also comes with the standard Return Home safety feature. 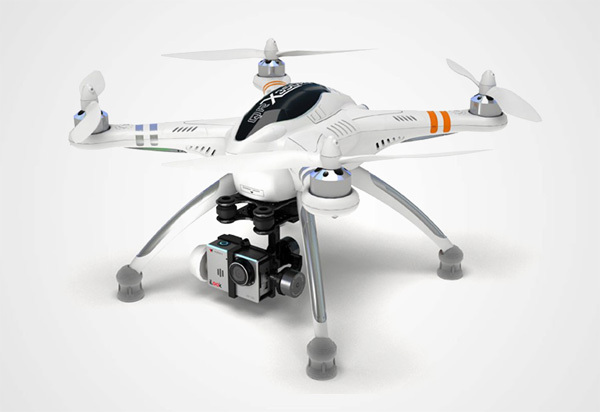 The quadrotor provides superior video quality and camera stability by using two axes gimbal stabilization. The camera mount that comes with the quadcopter is compatible with GoPro cameras. Live view can be enabled to stream live footage from a GoPro Hero to a wireless monitor. It is advised that when using this setup, the Wi-Fi is to be turned off so as not to cause interference between the controller and the Iris. 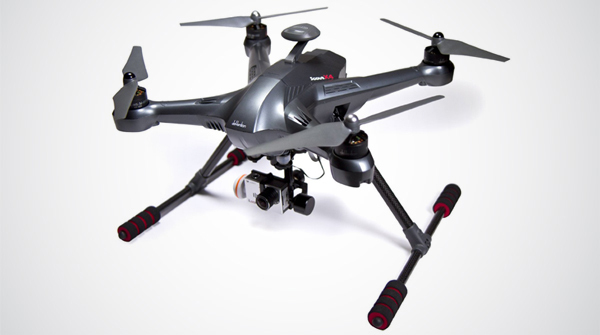 The Iris is capable of 16-22 minutes flight time, with a pay load capacity 400 g (.8 lbs). The quadcopter integrates LED on all arms, and comes with self-tightening screws. This quadcopter comes ready to fly out the box. It is targeted at beginners, because of the sophisticated functions of its autopilot called SAFE (Sensor Assisted Flight Technology). For instance, if a pilot lets go of the controls the drone stops suspended midair, stabilizes, holds the position, and waits for the next command from the pilot. Also, there is Stick Relativity, which means the drone flies in whatever direction the stick is pointing. So no matter the orientation of the drone a right pilot input generates a right drone movement. The Blade 350 QX3 comes with a safety feature called adjustable flight boundary, whereby a pilot can define a radius about a position across which the quadcopter cannot go beyond. And as is standard the quadcopter has a return to home function, where the drone returns to the spot where its engines were started. It’s said to be useful for when a pilot loses sight of the drone. The quadcopter uses an 11.1 V 3000 mAh Li-Po battery that gives it a flight time of between 10 to 15 minutes. The 350 QX3 measures 465 mm (18.3 in) in length, 465 mm (18.3 in) in width, 190 mm (7.5 in) high, and weighs in at 955g (33.7 oz). 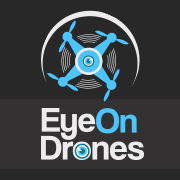 This quadcopter’s development was funded through Indiegogo, under the banner “Aerial filming has never been easier!” Their stated goal was to turn the average person into a filmmaker. The campaign was successfully funded on January 9, 2015 having met their campaign by 795%. The quadcopter is controlled entirely through a smartphone or tablet app, using basic simple commands like “land,” “return,” “hover,” and “takeoff.” A simple tap on the map will send the drone to the corresponding area. There is also another control mode called the micro-control mode, which allows the user to control the GoPro camera angle, as well as the drone’s heading and speed. The video for the Indiegogo campaign claims the quadcopter will have a flight time of 30 minutes, which if correct will be unmatched by any commercial drone currently offered on the market. Ghost has FPV connectivity, auto-follow mode. The GoPro is mounted on a gimbal below the quadcopter. The Storm RC X350 design is one of the older picks on this list. Its control architecture is based on the Arduino flight controller, which can be fine-tuned using Mission Planner. In its heyday, it was considered the best platform for small action cameras. It uses GPS, barometer and high precision compass data to maintain hover during user inactivity. It also incorporates the standard Return to Base feature, but it does so at 50 ft of altitude. 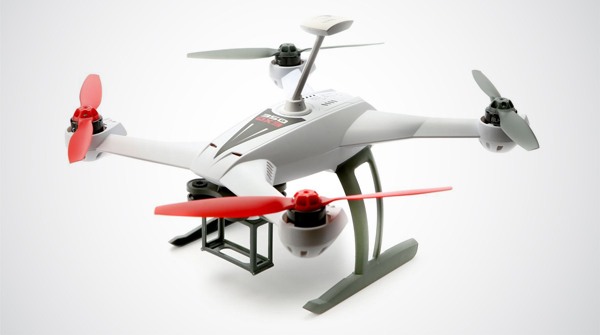 It is powered by 11.1V 3000 mAh and 4 brushless motors, which gives it up to 16 minutes of flying time. It is compatible with the 2D brushless gimbal camera mount, which is more suitable for the GoPro Hero series 3 and 4. The gimbal also has remote connectivity from the transmitter. The storm RC X350 measures 3.9 in by 3.3 in by 3.7 in (100x84x94.50mm). Create a 3D model of your House using a Drone! ← Previous Are Battle Drones the New Trend? Next → Drone Rescue Another Drone!